Looking for a unique and exciting way to celebrate work or even just a big night out with friends? Hands on Art Adult and Work parties are great way to celebrate with flare! Bring your coworkers/employees and friends in for a celebration, today! CHOOSE FROM ART CERAMIC. Our work parties are the perfect way to combine fun entertainment and great team building experience. Our professionally trained personnel will guide your group through a fun and relaxing experience. If you choose an art project, you’ll follow our step by step instructor to create the most incredible art piece worth displaying at work or at home. Our comfortable facility can host up to 60 participants. If you prefer to host your party outside the studio, we can bring the party to you! Call (801) 906-1192 for more information. -Click link above to see a little bit more info on Ceramics! 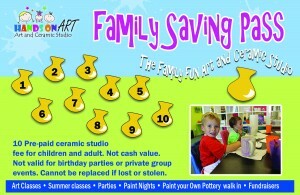 * $160.00 (Includes studio fee, a $10 and under ceramics piece per participant. ( You can upgrade your pottery choices by paying the difference). * 90 min of bisque painting. * Separate Space in Studio for seclusion. * You are welcome to bring food & beverages. If your party goes over the scheduled time there is a $50 per half hour charge. 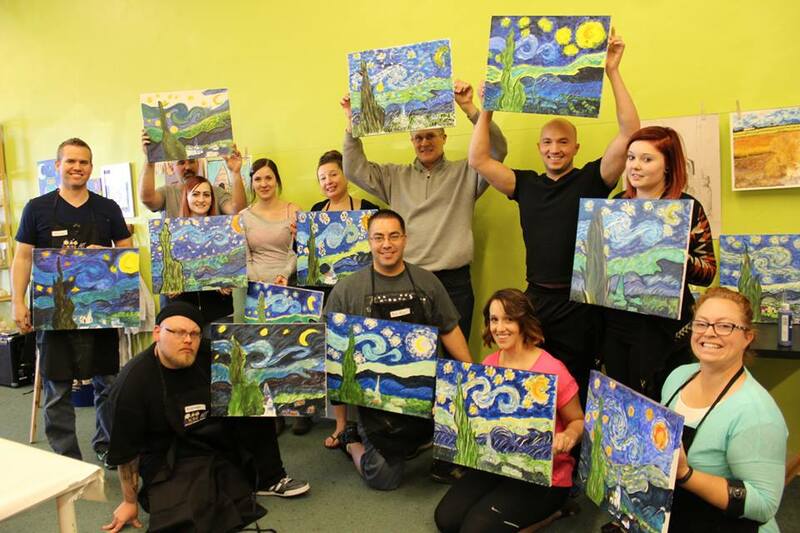 -click link above to see what paint nights we have available! Enjoy the process of creating a masterpiece while you relax and follow our professional instructor, through a 2 hour, step-by-step process to complete a featured acrylic on canvas piece. It’s stress-free, and absolutely no experience is necessary. The perfect way to celebrate any special occasion! * A minimum of 12 painters (additional painters at $33.00 each). * 16×20 inch canvas- choose your painting. * 2 hour canvas painting session. * Separate Space in Studio for privacy.